So the other day just before a chi-sao session I bowed to another student and said “all good Bro?”, and I was asked why did I call everyone in class Brother or sister, was I just terrible at remembering names? Well the answer is yes I am terrible at remembering names, but that’s not the reason I call my fellow students brother or sister, that’s because I trained traditionally a long time ago and the term Kung Fu family and the duties that this brings were instilled into me. To me you see my Kung Fu brother is a true friend, someone I can trust and someone I will go out of my way to help, Lee and Jason (Kung Fu brothers for years), hopefully will attest that I take this relationship very seriously and we are like family! 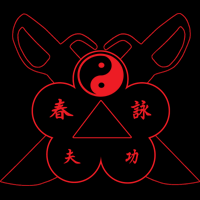 You see the terms I am using have been the stable of Kung Fu schools for centuries and are often used within a Wing Chun Kung Fu school (family), during training and outside of the classes as well. The terms such as brother or sister do not relate to your actual biological relationship or age, rather your school (Kung Fu family) relationship and then to the time span since one has joined the Wing Chun Kung Fu School (family). The use of those terms is not a religious act but an asian tradition showing acknowledgement and gratefulness to the fact that Wing Chun has been taught over the centuries on an individual basis within a family-like structure. Tracking Kung Fu back identifies that the Shaolin style of kung fu is regarded as one of the first institutionalised Chinese martial arts. Between the 16th and 17th centuries, at least forty sources exist to provide evidence both that monks of Shaolin practiced martial arts, and that martial practice became an integral element of Shaolin monastic life. Brothers working and living together for one common aim and in harmony with one another, this clearly influenced the concept of a Kung Fu Family. Wing Chun itself has many examples of the skill and knowledge passing down a family lineage and sometimes this impacts on different applications or options on moves or forms. However all Wing Chun stems from one root, like a tree, we all share the same basis and then branch out to develop family styles of the art. The different branches of the Wing Chun can be thought of as describing both the differing traditions and interpretations of Wing Chun, and the teacher-student relationships which perpetuate them. 4. all those engaged in a particular trade, profession, pursuit, etc. 5. the belief that all people should act with warmth and equality toward one another. So as a brotherhood or family we act with warmth and equality to one another, in a common pursuit of quality Wing Chun (in western terms in a supportive network), traditionally a family of Kung fu brothers and sisters with the support network that that brings. Your Sifu is your Kung Fu Father. His wife is Si-mo, and you treat her with the respect and kindness you would show your own mother. The students who have been with your Teacher longer than you are your Senior Brothers (or Senior Sisters), and the ones who come after you are your Younger Brothers and Younger Sisters. Your Senior Brothers are also responsible for you and your training, and you are responsible for your Younger Brothers and should ensure they understand your Teacher’s lessons. This not only helps them, but it also helps your Teacher. If your Brother or sister needs help outside of the class we should be providing it, they are family and one that you have chosen to be a member of. A great example I can’t do much in the way of DIY but both Lee and Jason have helped me outside of Kung Fu with such things, and when they want legal advice I get the phone call – true Kung Fu brothers. There are others who I don’t see for months on end but when we meet we greet one another as a brother or sister and that bond is really strong. Upon entering the School Building, you should bow to your Teacher if he is there. If he is not, bow toward the altar or picture(s) of your School Ancestors (your Grand-Teacher, Patron Saints, etc). This not only shows respect and gratitude, but also establishes a connection with the past masters of your school lineage, so that the past and present are one, and the family line remains unbroken. Within Chinese culture the concept of family is far more than siblings and parents, as we learn Kung Fu we too are honoring these traditions and that’s why in a nutshell (pretty big nut) I call many of you brother or sister, it’s a compliment, probably the only one you’ll get from me!